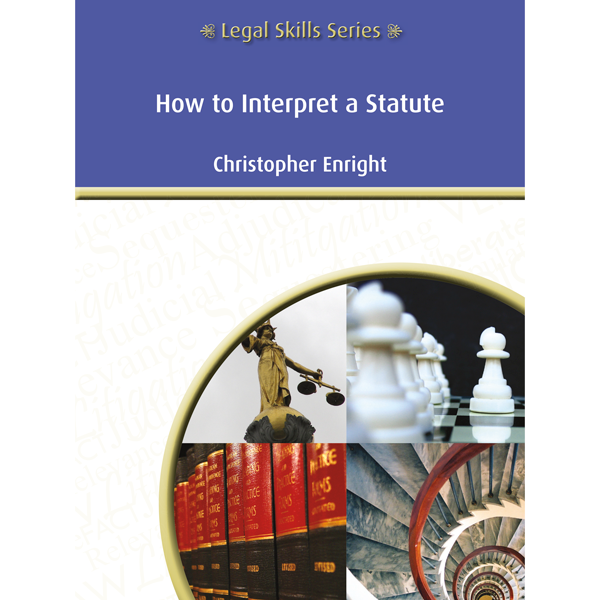 The skill of interpreting a statute is important for one good reason - the outcome of a case, commonly enough, depends on how a court interprets an ambiguous provision in a statute. Yet despite the importance of interpreting statutes, there have been no serious attempts so far to describe an effective method for perfoming the task. The reason for this is probably that one of the common characteristics of Australian lawyers is that to a substantial extent they are skills-averse. In Australia, the dominant rule of interpretation is that a court or an official must interpret a statute by choosing the meaning that will best achieve the purpose and object of the statute. Click here for an in-depth description of this title.